Beautiful walnut cabinetry. 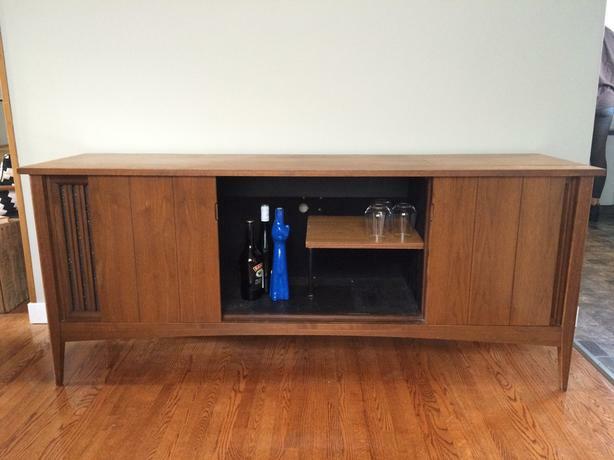 Was a stereo cabinet at one point but was converted to be a liquor cabinet or sideboard. Middle doors slide open, shelf and lots of storage space. Two top doors open for storage. Open to offers.